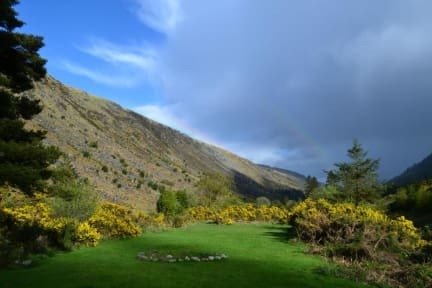 Glenmalure Hostel in Wicklow is a simple Mountain Hut - with no running water or electricity - perfect for nature lovers who want to get away from it all. Glenmalure is a valley in the Wicklow Mountains in eastern Ireland. It is a u-shaped glacial valley, with only one road leading in or out. It is steeped in history where war, destruction and famine were seen. The Avonbeg River flows at the back of the hostel and the serenity in the area is really something special. 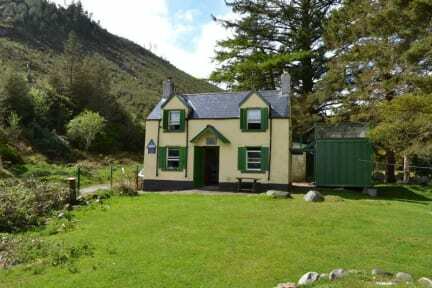 In 1798, the Battle of Glenmalure was fought in the valley where the mountain hut is located. While the playwright, J.M Synge owned this estate, he wrote the play 'Shadow of the Glen' which was set in the house. Maud Gonne McBride, who inspired many of W.B. Yeats poems, also owned the house and Iseult, her daughter, lived there after her marriage. Ownership then passed to Kathleen Lynn who donated it to An Oige. The Hostel is set in a very rural location with not much reception on mobile phones (text messages are ok) - therefore please do not arrive late and advise us of your expected time of arrival.